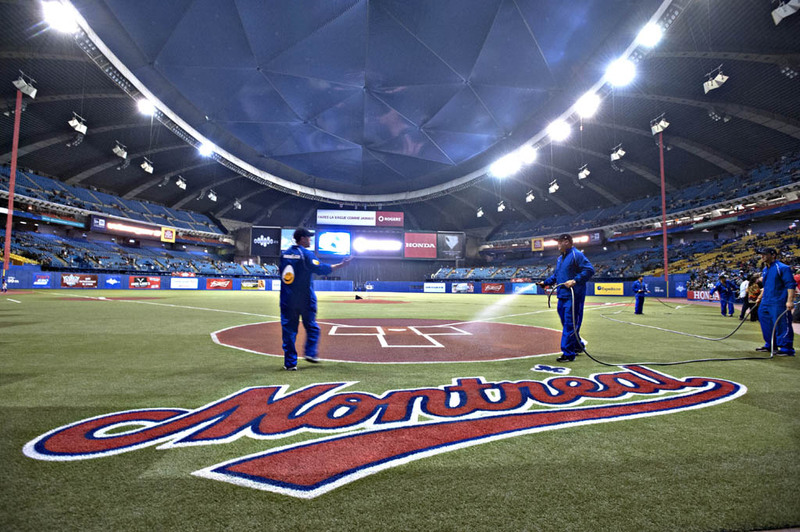 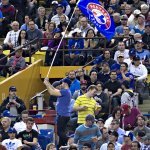 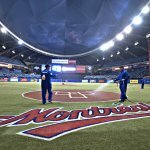 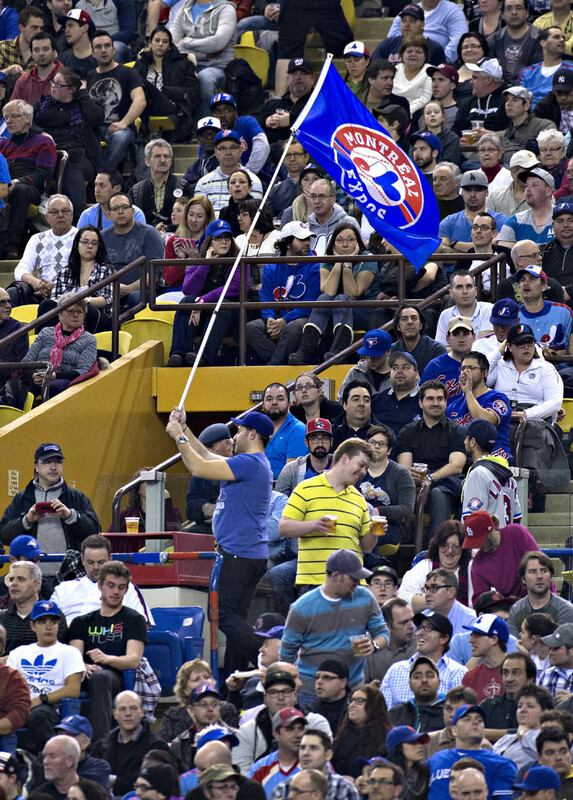 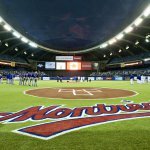 Montreal’s historic baseball weekend got underway Friday, March 28, 2014 as Major League Baseball returned to Olympic Stadium for the first time in nearly a decade. 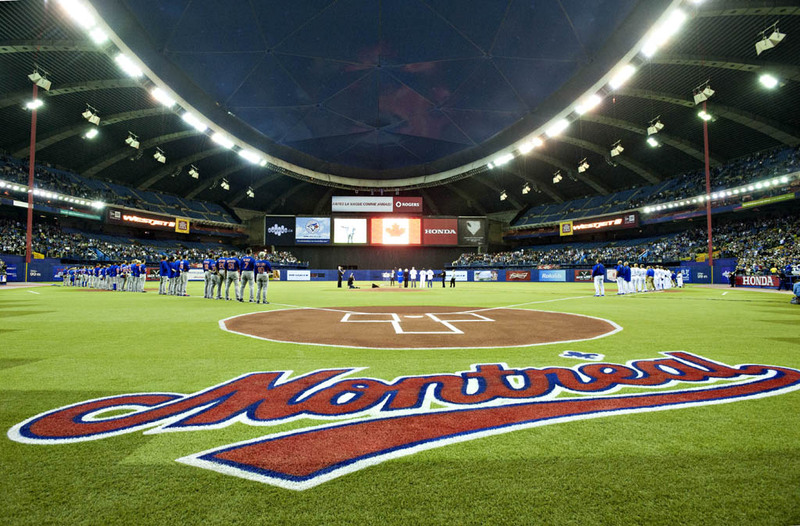 The Toronto Blue Jays and New York Mets played an exhibition game before 46,121 fans in the Montreal Expos’ former home. 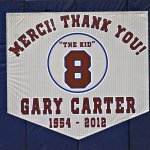 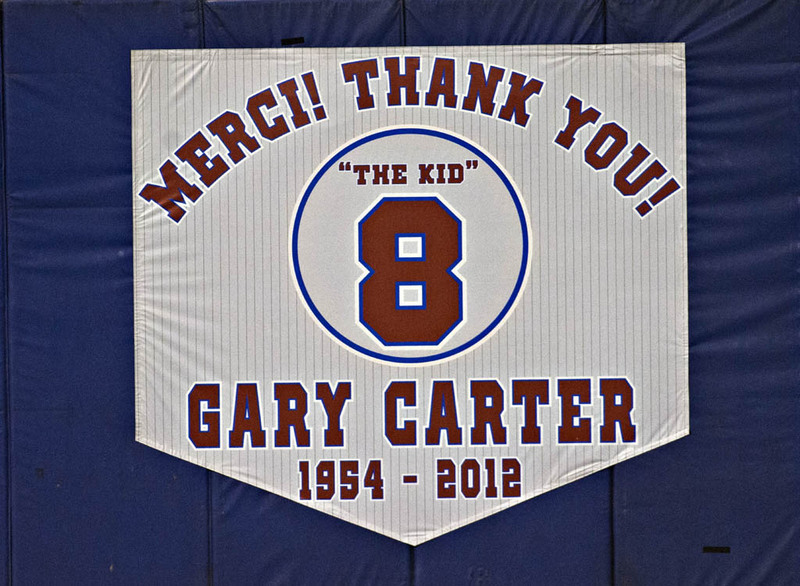 The game was preceded by a touching pre-game ceremony in honour of the late Expos great Gary Carter. 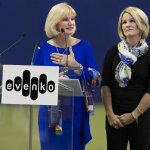 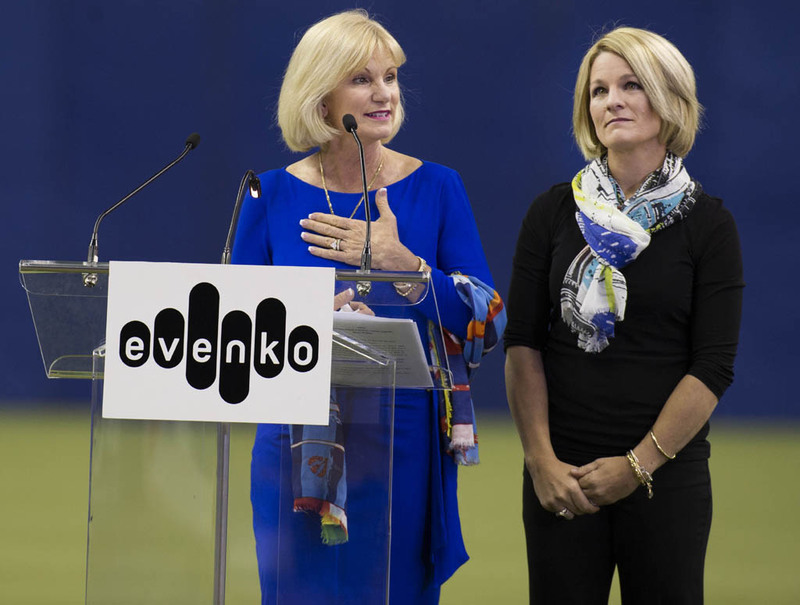 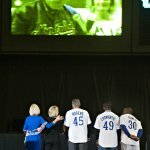 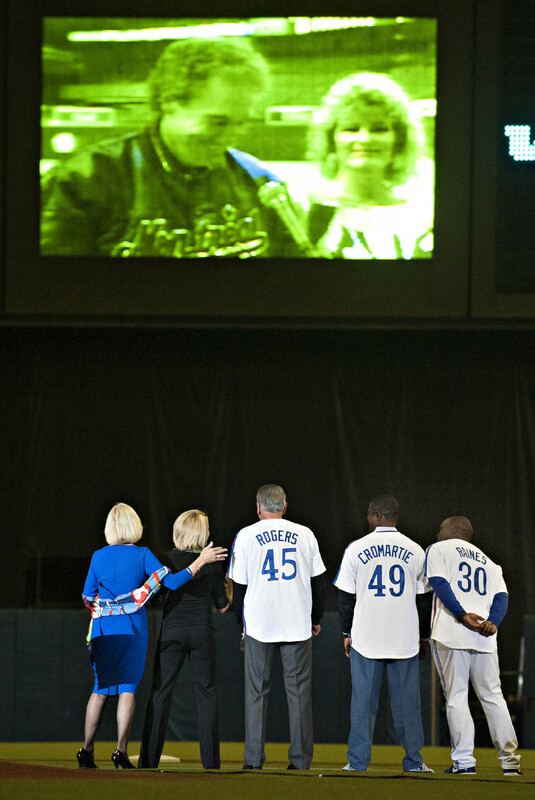 The Hall of Famer’s wife Sandy Carter and daughter Kimmy Bloemers were on hand, as were Carter’s teammates Tim Raines, Steve Rogers, and Warren Cromartie. 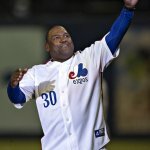 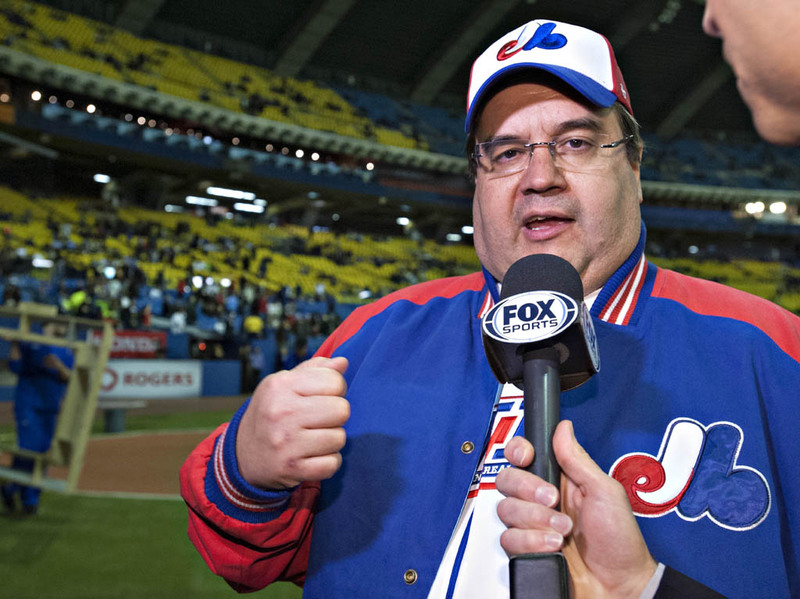 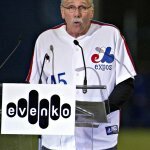 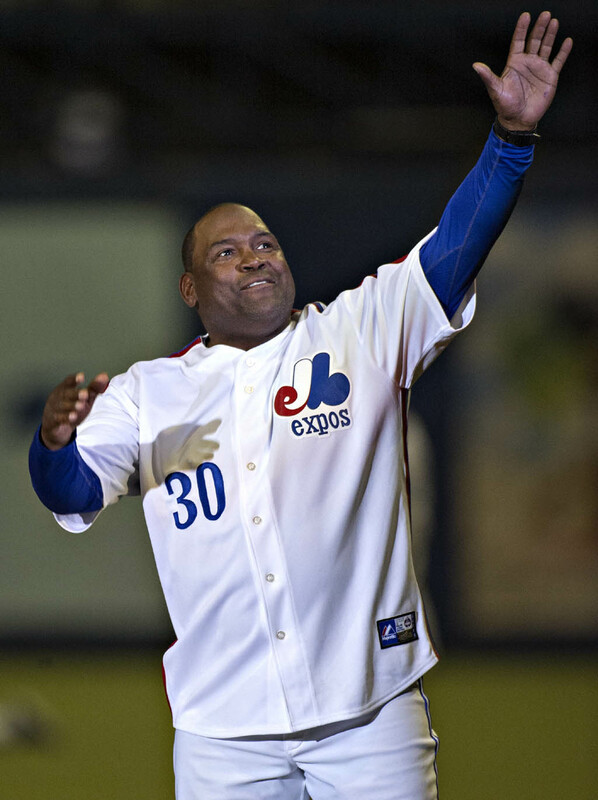 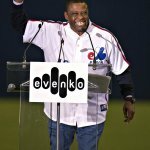 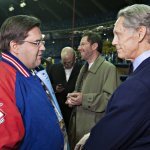 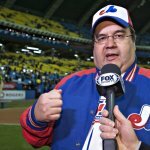 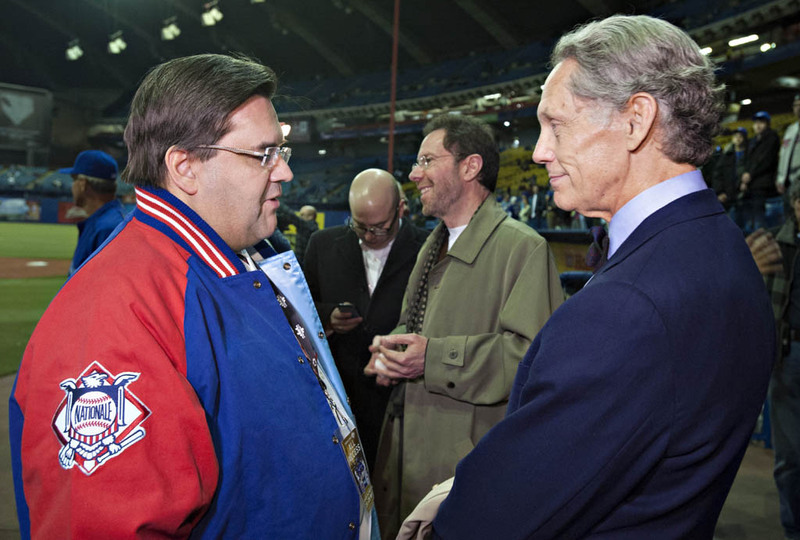 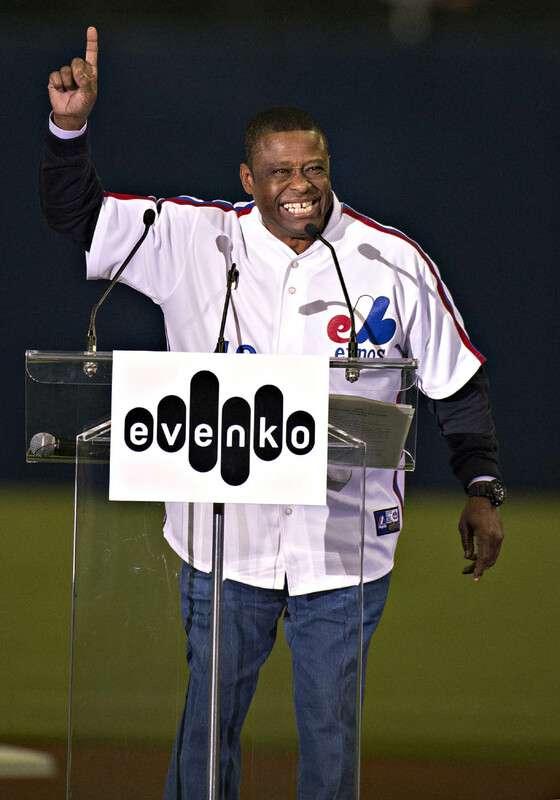 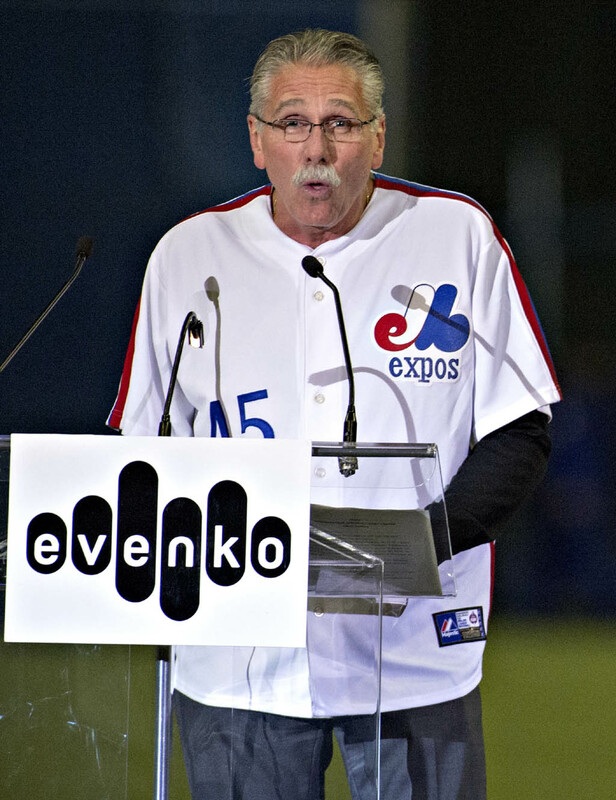 Cromartie elicited a loud and boisterous reaction from the crowd when he shouted, “Let’s bring baseball back to Montreal!” Montreal Mayor Denis Coderre, a great baseball fan, threw out the ceremonial first pitch dressed in an MBP jersey and Expos jacket.